Nothing comes even close to being as good as that. 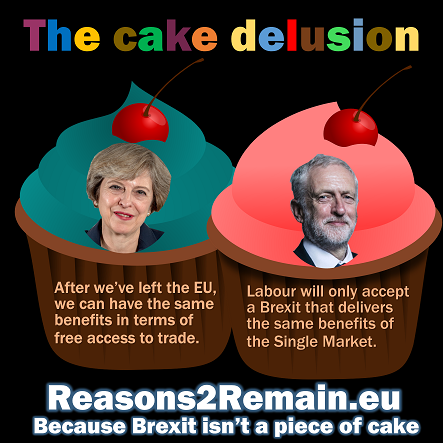 Ever since the EU referendum, Mrs May has been telling Parliament that she aims to get the benefits of EU membership without being a member. It’s nonsense of course. 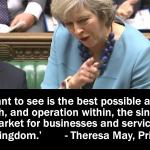 For example, on 26 October 2016, Mrs May told Parliament she wanted “the best possible arrangement for trade” with the European Union. Which is exactly what we have now. Which again, is exactly what we have now. Of course, he has not found a way to achieve that. But this all begs the question: if EU benefits are so important to Britain (and they are) why on earth are we leaving? In America they have a saying, “If it ain’t broke, don’t fix it”. So why does Mrs May want to fix something that isn’t broken? She says it’s because that’s what the British people want. Well, that’s a moot point. Yes, 17 million people voted for Britain to leave the EU – but that’s 17 million out of a UK population of 65 million. And two of the four countries that comprise our Union of the United Kingdom – Scotland and Northern Ireland – don’t want Britain to leave the European Union at all. What’s strange is that Mrs May also didn’t want Britain to leave the EU. 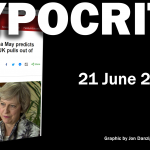 During a private and secretly recorded meeting with Goldman Sachs one month before the Referendum, Mrs May warned that companies would leave the UK if the country voted for Brexit. What’s more strange is that, including herself, 70% of Mrs May’s current Cabinet voted to Remain in the EU. All of them said during the Referendum that leaving the EU would be bad for Britain. So now they’re going to take Britain on a path that they all claimed would be against the interests of the country. Mrs May now says we’re leaving so that Britain can trade with the rest of the world. But we already do that now. The EU doesn’t stop us. On the contrary, Germany exports much more than Britain across the world, without any complaints that the EU is holding them back. Indeed, the EU was set up to facilitate better trade across the world. 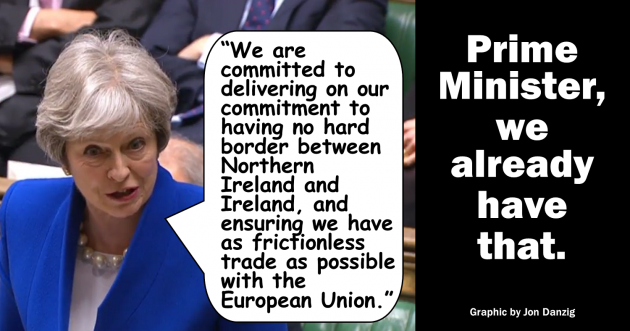 Mrs May now says we have to leave the EU, its Single Market and Customs Union, so that Britain can be free to negotiate its own trade agreements with other countries. Currently the UK enjoys trade agreements with over 60 countries across the world, which we helped to negotiate as a leading member of the EU. 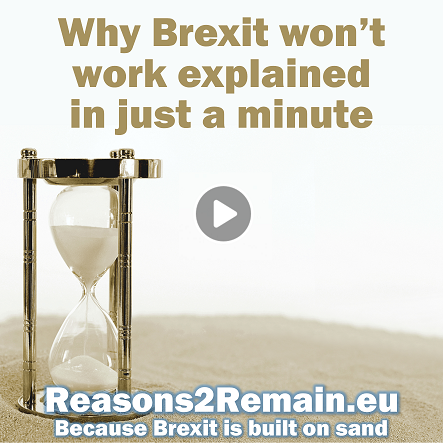 Since the EU is the world’s biggest free trade bloc, and the world’s biggest exporter, and biggest importer, of manufactured goods and services, it has the muscle and size to negotiate the best trade agreements with other countries. By contrast, the UK, on its own and as a much smaller trader, is unlikely to get trade agreements anywhere near as good as the ones we have now, let alone any better. On leaving the EU in March next year, the UK will have to tear up those 60+ EU trade agreements and negotiate them all over again from scratch. It will take years. Just so the name ‘UK’ is on the front of those trade agreements, instead of the name ‘EU’? No. It doesn’t. The EU is the world’s largest free trade area. As a member, we receive huge benefits worth enormously more than the net annual membership fee of £7.1 billion a year. As a member, we enjoy free, frictionless trade with our biggest trading partner by far, right on our doorstep, where almost 50% of our exports go to and over 50% of our imports come from. Nowhere else in the world comes close to that. 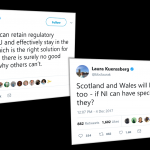 But the UK government has said it wants to continue to enjoy membership benefits as an ex-member, without being part of the EU Single Market or customs union, without agreeing to the rules of the EU and its market, without being subject to the European Court of Justice to oversee those rules, and without paying anything to the EU for access. For the sake of peace, we need an entirely open border between Ireland and Northern Ireland. To achieve this, we need to continue with the status quo: the arrangement we have now. Sometimes the truth hurts, but it’s time we faced up to it before it’s too late. This entry was posted in Current Affairs, Democracy & Citizenship, Economics & Trade, Politics & Public Policy, The EU and tagged brexit, customs union, David Davis, Northern Ireland, Single Market, Theresa May. Bookmark the permalink.